Smoke and fire is seen leaping from the top of Notre Dame, the iconic Paris cathedral. Videos shot by people show the blaze engulfing the spire between its bell tower. 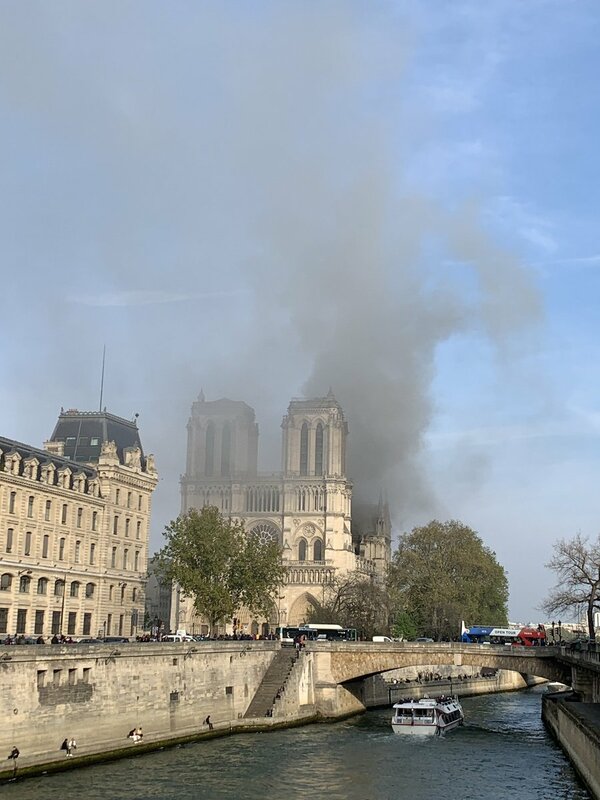 @almacy Smoke billowing from Notre Dame Cathedral in Paris, France. @Mr_Innovation RT @MarionLeblancWo: #notredame en feu. Speechless. 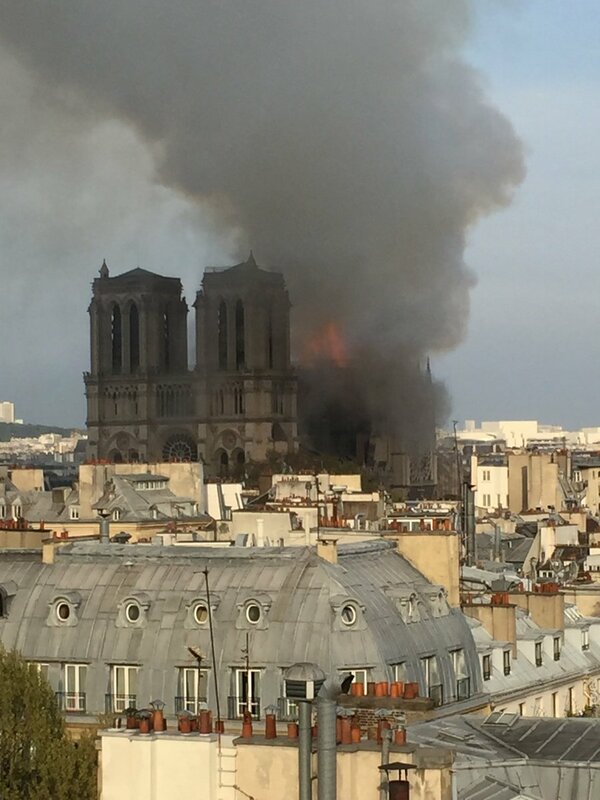 @stephemcneal Here's a live feed from Notre Dame of the cathedral on fire, from an eyewitness in Paris: https://www.pscp.tv/w/1yNGavoByLgJj doesn't look good!